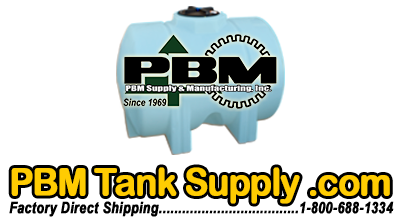 PBM is proud to be a distributor of high quality Norwesco septic tanks. 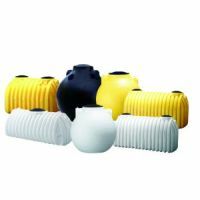 Norwesco`s polyethylene septic tanks are designed for durability and quick, easy installation. Any Norwesco septic tank can be transported to the job site in a pickup truck and carried by just two people. That enables you to install the tank on your schedule. Across the United States and Canada, there are certain health code requirements that our tanks must meet. These codes are regulated by the state, county or province where you are located. To aid you in determining which tank you need, please consult with your local health department. 300 gallon poly spherical pump tank with a 20" manhole, without plumbing. 325 gallon poly cistern sphere below ground water tank with a 20" manhole, without plumbing. 500 gallon poly spherical pump tank with a 20" manhole, without plumbing. 550 gallon poly cistern sphere below ground water tank with a 20" manhole, without plumbing. 750 gallon poly dual compartment septic tank with 2 20" man holes. 1000 gallon poly dual compartment bruiser septic tank, pre-plumbed with 2 20" manholes. 1000 gallon poly bruiser septic tank, pre-plumbed with 2 20" manholes. 1,000 gallon poly dual compartment bruiser septic tank, pre-plumbed with 2 20" manholes.